“What if they expect too much? These would be the first questions that come to the minds of most speakers invited to deliver a conference presentation. What comes next is hours and hours of writing, tinkering in PowerPoint and worrying that you’ll be unprepared when the day actually comes. So many uncertainties and all you can really do is to prepare and pray that the audiences ‘get’ what you’re saying and that you don’t miss out important pointers that you need to cover during your presentation. “What If They Think I’m Boring? Standing on the big stage and speaking to crowds of hundreds can be nerve-wrecking as it is. Now you need to worry about whether you’ll captivate like a pro or crash and burn. Not only are you competing with minute attention spans, if you aren’t interesting enough, your audience will default to facing their mobile phones for the rest of your presentation. These issues are exactly why HighSpark and Flare Communications have collaborated to create this massive resource just for conference speakers like you. Download Your Copy Of The Conference Speaker’s Handbook! 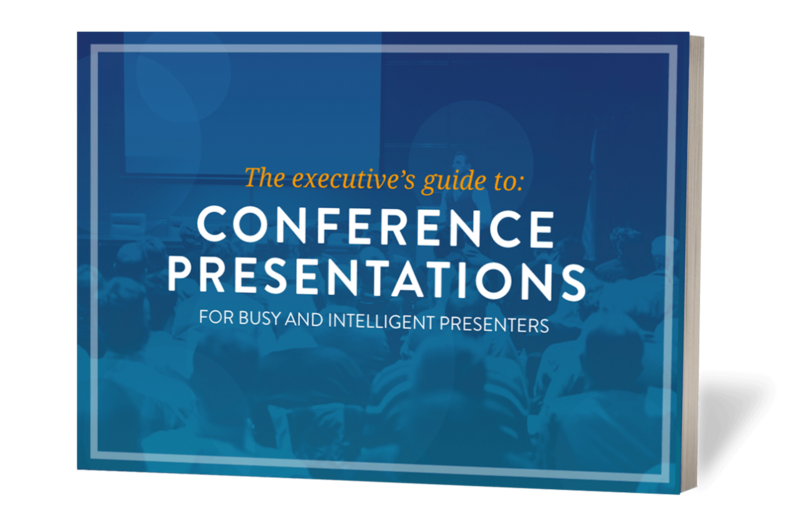 Within this FREE resource, we demystify the process behind some of our most successful client conference presentations and how we helped them to deliver their ‘dream presentation’ on the big stage. A visual summary of the latest conference presentation trends so you stay ahead of the curve and your competitors with industry best practices. Learn to identify your presentation’s business objectives so you can measure success and achieve your company’s goals. Secrets from an executive delivery coach on how to use the stage and your body positions so you look naturally confident. How to write a compelling presentation story that leaves your audiences salivating for more. Discover the top 10 blunders made by conference speakers so you can avoid making the same mistakes. Leverage effective visual aids to communicate complex information so audiences listen and understand, even if you’re not a designer. Techniques to tackle unexpected and difficult questions during Q&A, so you never get caught off-guard or look clueless. Using digital tools and persuasive speech to increase networking opportunities and generate more leads after your conference presentation.